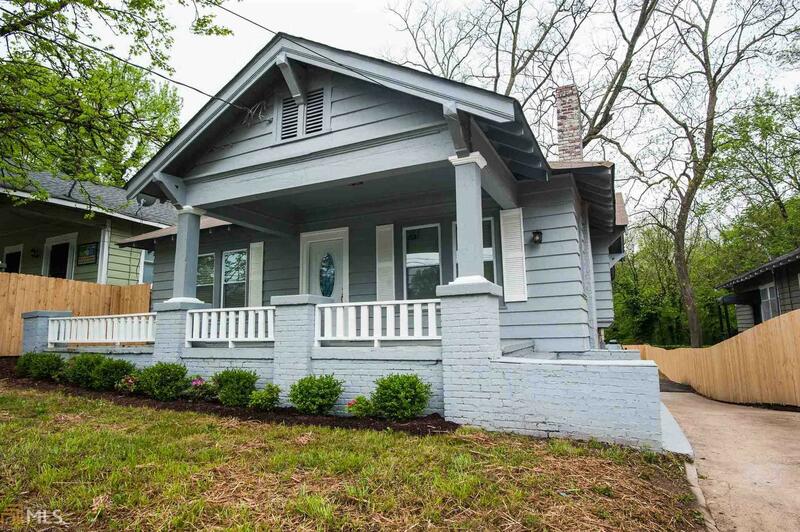 Remodeled Bungalow in Historic Adair Park with Modern Decor Style. Hot location blocks from the Beltline, New Pittsburgh Yard(shopping/dining), & New Beacon Development. Imagine sitting out on this front porch w/a Swing & enjoying the Summer breeze. Inviting Open Floor plan has original Fireplace,New Flooring,Extra Molding w/10 ft ceilings, Dramatic Dining area w/seating from wall to wall, Butlers Pantry,Spacious Kitchen w/ plenty of cabinets & counter space for a Chef. Everything is new! Seller is offering a One Year Home Warranty and $4500 toward Buyers Closing Cost.